NAIM forming symmetrical triangle pattern. How do you think the breakout will happen? Up or down? Immediate resistance @ upper triangle level. Subsequent resistance @ RM4.30 level. 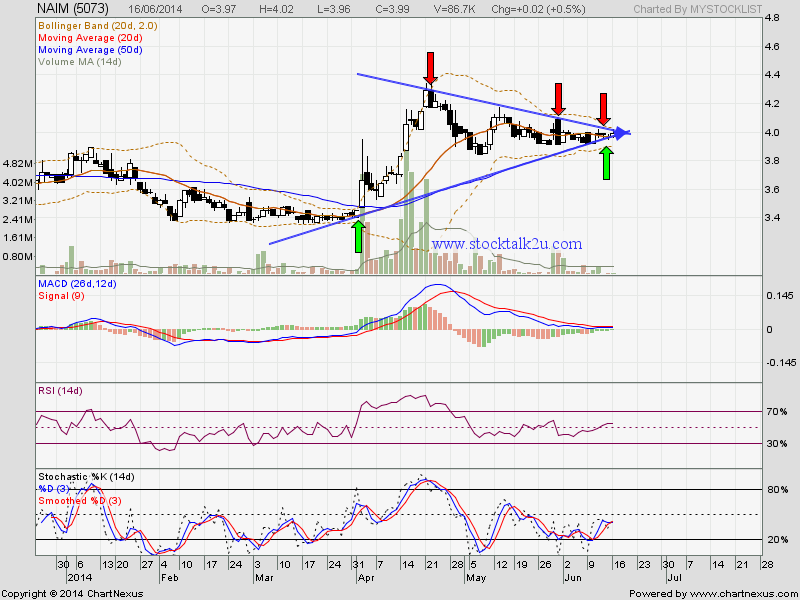 Subsequent support @ RM3.85 level.